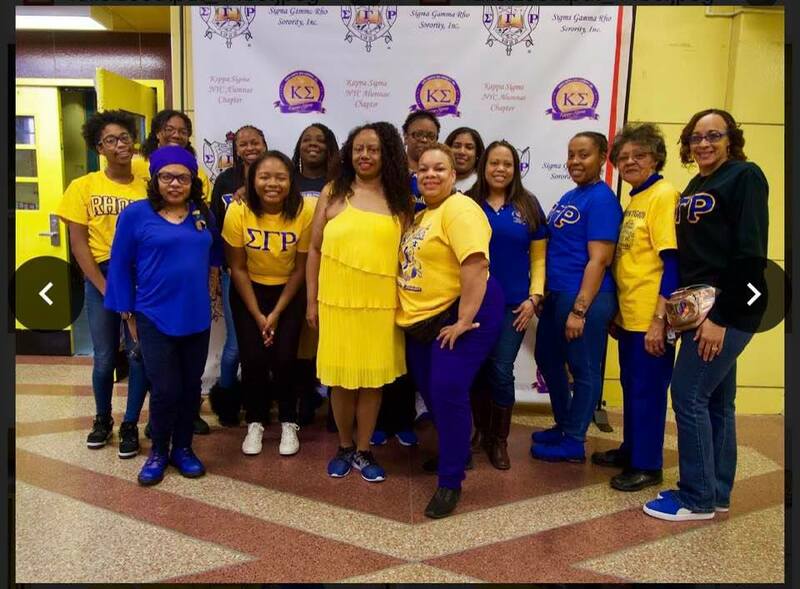 Bullying (real life stories and solutions for prevention) was the hot topic at Sigma Gamma Rho Sorority, Inc.’s Kappa Sigma Chapter Youth Symposium which was held at the Graham Wyndham Academy @PS 123 in Harlem, NY, on Saturday, March 10, 2019. The 2019 Youth Symposium theme was “Mission Possible: A Safe Space for Our Youth” for obvious reasons as we live in a time in which protecting the youth is imperative to survival. Nine-year old Lil Lex kicked off the program, captivating the audience of her heartfelt stories of being bullied in school. As a result of her frustration, and at the encouragement of her mother, Maria Lopez, who works with Guns Down, Life Up (an initiative aimed at removing guns from the streets), she has become an activist who frequently tours the country discussing ways to fight bullying. Another speaker, Megan Hackett, discussed her role in the soon-to-be-released short film, “Zahra And The Oilman.” The 12-year-old student and the film’s direct Yucef Mayes, previewed scenes from the film which centers around abrainy daughter is forced to go work with her street merchant father, where she learns some harsh realities about her father and his struggling business. Entertainment was provided by the Safi Brothers Salim (17) and Salahedin (a 12-year-old who has starred as Young Simba in the touring company of “The Lion King”), who not only wowed the crowd with their vocal prowess but they also offered advice for fledgling show business hopefuls. 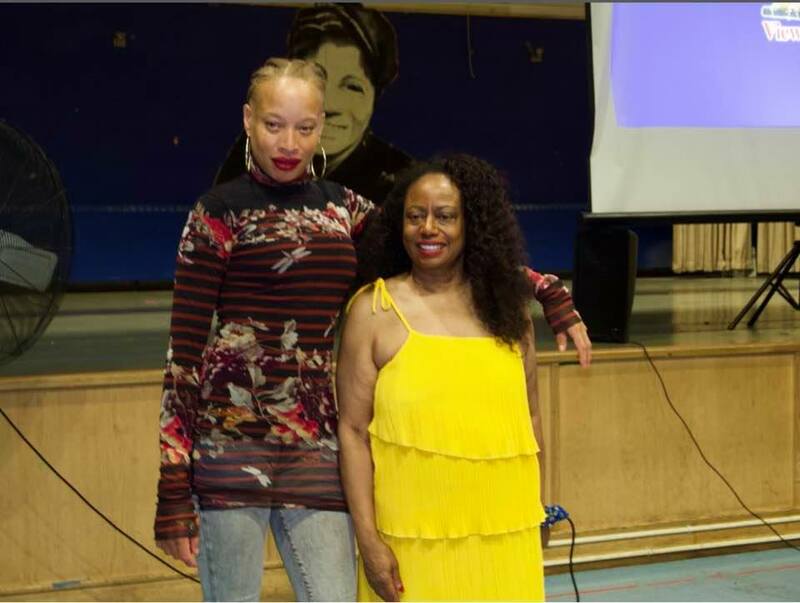 The event concluded with a surprise appearance from international fashion model Stacey McKenzie, who gave advice to students centering around self esteem and bullying issues as well. Students who stayed for the duration of the program received a healthy lunch and custom-designed swag bags filled with school supplies. Kappa Sigma Chapter Youth Symposium Chair Cynthia Horner with America’s Next Top Model’s Stacey McKenzie. Sponsors for the event included GoGo Squeez, BMB Records T-shirts featuring teen artist Brooklyn Queen (@brooklynqueen), The BulLion Foundation, and media partners were Sheen Magazine and Right On! Digital. The Kappa Sigma Chapter is Sigma Gamma Rho Sorority’s NYC alumnae chapter (@SGRhoKappaSigmaNYC). The chapter is active in the community, sponsoring such initiatives as Amazing Grace Pantry, toy drives and provides workshops and seminars on such topics as pregnancy, wellness, HIV prevention and financial literacy.